Seattle has attracted significant attention over the last several decades with its exceptional growth resulting from the arrival of giant high tech companies such as Microsoft and Amazon.com. In addition to these well known corporations, high tech startups love the Seattle area due to its innovative spirit and progressive population. This influx of technology based organizations has created a rise in Seattle outsourced support services, which provide companies of all sizes access to highly skilled IT and other technologically based professionals at a reasonable cost. Since Microsoft arrived in 1979, a long list of high tech organizations have chosen the Seattle area as their home base. Amazon.com, Nintendo, T-Mobile, RealNetworks and a host of cutting edge medical organizations have all helped Seattle earn its reputation as a city of the future. Commercial and residential properties have significantly increased in value as a result of this influx of employers, yet simultaneously, the lack of sufficient space in the downtown area has prompted many organizations to seek Seattle outsourced support providers to keep their businesses running smoothly. While outsourcing all or a portion of your organization’s IT needs is extremely cost effective in nearly every situation, the benefits do not end with savings alone. Maintaining a full time IT technician is simply not an option for many smaller organizations, and those that do have the budgeting allowance often find it challenging to attract qualified applicants who typically prefer larger organizations with more advancement potential. Third party organizations are able to select the most highly qualified candidates for every position, as their professional salaries are essentially distributed between all the individual organizations who utilize their services. Third parties also offer clients a greater level of flexibility, as services can be scaled up or down based on the needs of your organization. In addition to advanced IT infrastructure services, Seattle outsourced support providers offer clients the option to work with a third party who can streamline the efficiency of many aspects of your business. VisX analytic services can help you determine exactly which areas of your business should be optimized to increase performance; working with a non-biased third party representative can also help spot areas of weakness you may have overlooked. You can outsource any Windows or Linux administrative needs, as well as customer service inquiries to increase the overall satisfaction of your customers. 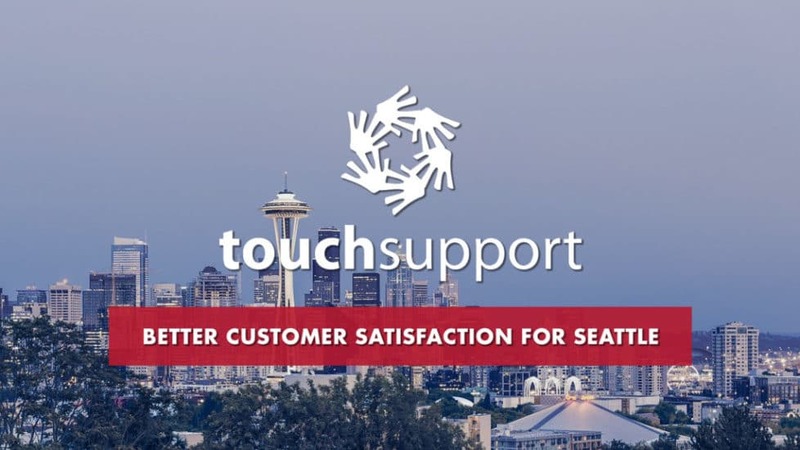 The professional staff members at TouchSupport have an excellent reputation and are known to provide the highest quality of support in a multitude of areas, including those mentioned above.